I reviewed the 2012 version of Gordo, a Spanish red, 18 months ago, and marveled at how well made it was. The 2014 version of the Gordo may be more enjoyable. The Gordo ($13, sample, 14%) doesn’t seem to be the kind of wine I’d be this enthusiastic about. It’s made with about one-third cabernet sauvignon, and regular visitors here know how I feel about Spanish cabernet. But this vintage, like the last, uses the grape to its best advantage, blending it with the native Spanish monastrell (mourvedre in France) to produce a wine where the whole is greater than the sum of its parts. Look for an earthy yet fresh wine, with almost herbal aromas and dark berry fruit that isn’t all that fruity. And, even though there’s so much cabernet in the wine, the acidity and tannins are muted, providing structure but not really being noticeable. In all, this is a difficult wine to describe because so many contradictory things seem to be going on – which, I suppose, is one reason why it’s so enjoyable. Highly recommended, though pricing may be an issue – this wine is as little as $12 in some parts of the country and as much as $16 in others. This is a food wine, and about as versatile as red wine gets. Pair it with almost anything you can imagine, save fish or chicken in cream sauce. Having said that, I wouldn’t be surprised to see it shine with turkey pot pie. How much of a value is the Comoloco, a Spanish red wine? A retailer, in his comments on CellarTracker (the blog’s unofficial wine tracking software), practically apologizes for selling it. Because, of course, nothing this cheap can be this enjoyable. When will they learn? 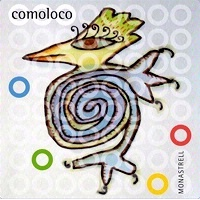 The Comoloco ($10, purchased, 14%) is made with monastrell and is from the Spanish region of Jumilla near the southeastern Mediterranean coast. Hence, a grape and a region that would rarely get 90-plus points from the Winestream Media. But that’s no reason to apologize for the Comoloco (and its producer, Juan Gil, does similar value worthy wines under other labels). This is a clean, well-made, post-modern wine, but without the annoying qualities of so similar wines. The sweet red fruit is fresher and not as cloying, you can taste a little welcome acidity, and the wine isn’t hot. Yes, the oak is a bit much, but it fades after the bottle is open for a while. Highly recommended, and a candidate for the 2017 $10 Hall of Fame. Drink this with winter stews and roasts, and don’t be afraid to buy a second bottle. Buy this wine. The Honoro Vera Monastrell is that cheap and that well made — what else needs to be said ?In this, it not only reaffirms that Spanish wine offers the best value in the world today, but that it’s possible for a producer to make honest wine and to respect its customers. Monastrell is the Spanish name for the French mourvedre (though there is some dispute), and is mostly used in red blends. 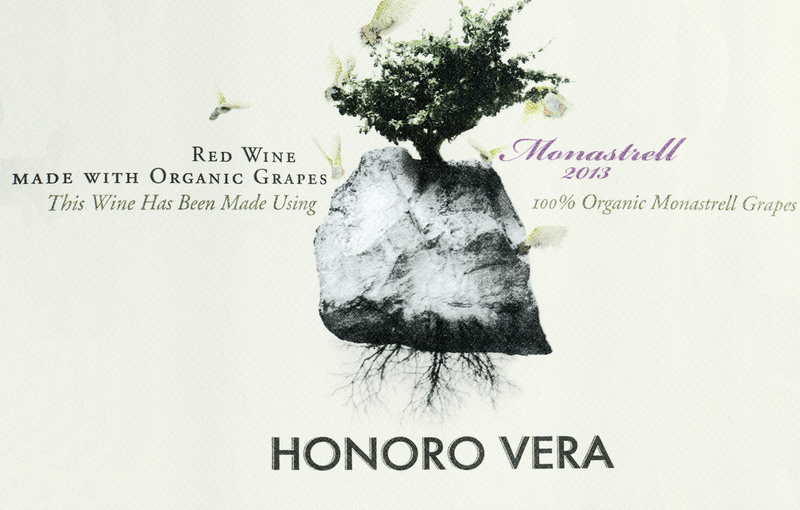 The Honoro Vera ($9, sample, 14%), from the fourth-generation Gil family, shows how to do it as a varietal, focusing on its earthy, almost gamey flavor. But don’t let that scare you off, for there is plenty of blueberry fruit and almost spicy tannins. It’s difficult to believe that a wine made with this grape at this price can be this enjoyable. I drank it with chicken breasts roasted with olive oil and herbs, and the pairing was spot on. Highly recommended, and almost certain to enter the 2016 $10 Hall of Fame. I have written this a lot this year, as wine prices have gone up and quality has gone down, but this wine restores my faith in the wine business. I have tasted so much junk at $15 and $20, where the producer cares not at all about quality and only about margins, that the Gil family does this reminds me why I love wine. Labor Day means two things: The Wine Curmudgeon ?s annual appearance at the Kerrville wine and music festival and a reason to write about rose. On Saturday, the Kerrville panel will do Texas wine and cheese, and we ?ll have an opportunity to see ? once again ? the tremendous strides the Texas wine industry has made over the past decade. Sometimes, it even surprises me. Say hello if you ?re there; there ?s a slight chance the ebook version of The Cheap Wine Book will be ready, so I ?ll probably natter on about that as well.
? Joel Gott Sauvignon Blanc 2012 ($10, purchased, 13.9%): California-style sauvignon blanc doesn’t get much better than this, and it’s even more stunning at this price. The wine is varietally correct (grassy-ness and citrus), has flavors in the front, middle, and back, and is crisp and refreshing to boot. Highly recommended and a candidate for the 2014 $10 Hall of Fame.
? Bodegas Castano Monastrell Yecla ($10, purchased, 13.5%): Nicely done red made with monastrell combines New World-style red fruit with Spanish terroir — acid and tannins to balance the fruit. Tremendous value, and a great barbecue wine.
? Cortijo III Rose 2012 ($10, purchased, 13.5%): One of the most interesting and sophisticated roses I’ve tasted in years, which is saying something given my enthusiasm for rose. More fruit (cranberry and watermelon playing off each other) than a traditional Spanish rose, but still not New World-ish and as dusty dry as it should be. An amazing wine that will almost certainly be in the 2014 Hall of Fame. Finally, don ?t overlook regional wine for Labor Day weekend. It ?s as good a time as any to try it if you haven ?t. If you have, then enjoy one of your favorites, like I will in Kerrville.